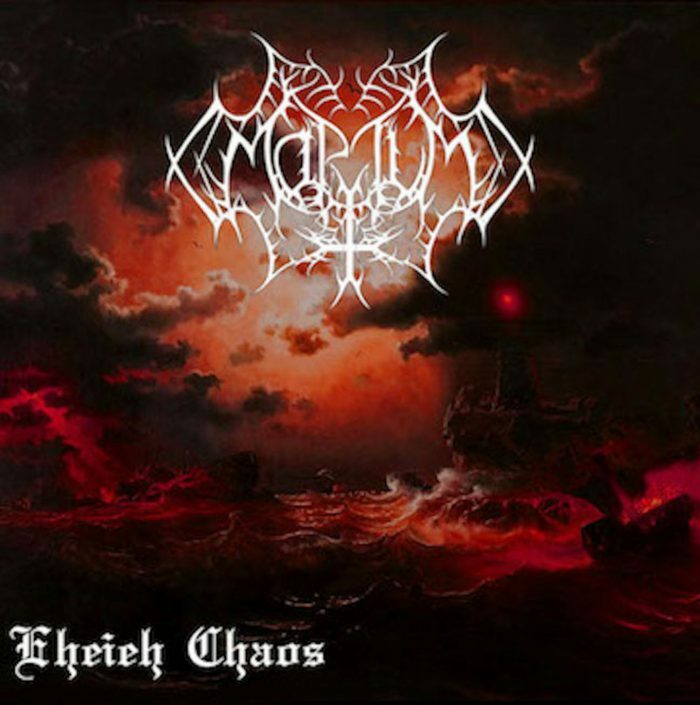 Mortum have by now focused, or rather reduced their approach to black metal to very specific kind of musical statements, manifesting in more prominent melodies and an overall stability. The first thing the listener may notice in contrast with The Rites of Depopulation (2011) is that texture is now kept constant, rather than having it change for the sake of variety of expression. The desired effect is attained by having two guitar lines, in clear support and lead roles, though not formulated in the manner of rock or mainstream heavy metal, but rather as tremolo-picked riff line and tremolo-picked melody line. Overall, there remains the impression that Mortum have settled into a musical, and perhaps emotional, position that demands no construed challenges or rituals, but rather a pure state of existence in organic rhythms not calculated. Character-wise, we find very little sinister manifestation in the sounds themselves, and in its place a feeling of liberation and plenitude without falling into either kitsch or crassness. Riffs here are little more than melodies played as tremolo-picked power chords, with very few attempts at constructing more musically than a pure presentation of these accompanied by a suitable, though rather laid back, drumwork. The vocals are raw and evocative, inserted at the right times as all underground metal should gauge. In return for the absence of textural and rhythmic variety, Mortum must reinforce the integrity of these straight-forward lines. In truth, this is not just a trade off, but a requisite step to creating this kind of music that bears some resemblance to a more pop sensibility for simplicity in completeness. To this end, these compositions are thematic rather than modal; we find here are songs tending towards simple and repetitive structures, full-sounding but minimal textures, and short and expressive melodies with descriptive arches. From the point of view of overall structure, Mortum has decided here to go for the bare minimum. This on the one hand enhances the importance of the strong thematic orientation of the pieces, but on the other hand reduces the possible reach and scope that a more developed narrative could afford. From the point of view of underground metal, this can be disappointing, as one involving himself in the reception of these genres expects to be submerged in obscure depths through musical elaboration. Eheieh Chaos expresses an almost joyous reveling of a supra-human experiencing of life imbued by the presencing of echoes and shadows of beings from across the universe. We can surmise that the musicians’ interpretation and decision to focus on this angle of their experience may change in time, and we might yet be treated to a far more detailed aural account of the exploration of other dimensions of being. While at first the fan of underground may be tempted to favor Mortum’s earlier full-length album, a closer and more sensible apprehension of the music shows that Eheieh Chaos is not only the more mature, but also far more realized from a musical standpoint —albeit in the direction of refined pop rather than underground metal. In this sense, we may draw a parallel to the music of Kraftwerk in an album such as Die Mensch Maschine, both in terms of concentration on theme, the fullness of the expression of the same, as well as its highlighting by a stripping down of the structure. Having mastered simplicity and the ability to focus on moments, and so on what we have recently termed fluxions applied to metal music “momentaneousness”/”immediacy,” we can conjecture possible works where structures develop narrative growing naturally from these thematic shapes without deforming or debilitating the whole. I see The Rites of Depopulation as being Mortum’s A Blaze in the Northern Sky and this album as being their Under a Funeral Moon. Truly a great modern USBM band that proves the genre isn’t completely fagged out to hipsters and rehash shitters. MORTUM has for 11 years time remained uncompromising, steadfast in their efforts and noncompliant in either regard to sell their band’s integrity to some political party. Whilst the factions have fought for claim over MORTUM, their members have been completely comfortable waiting for the right opportunities to play shows, record albums and associate with those who treat Black Metal as art, exclusively. Eheieh Chaos,is a Faustian effort, exploring the characteristics which would normally render a band (a false, boring, too simple) any variant of “skip over,” and yet evades this kenning by constructing very ensorcelling meditations on Numinous concepts, heretical positivity and music that falls short of the line that bridges the lunacy of occult belief but also well within the pasture of Supernatural’s nexion. MORTUM have been getting an excess of attention lately and I believe that it is chiefly due to their consistent delivery of Black Metal art, evolved as it has, through minds of mature consistency.